I like that the user can be an administrator and create their own reports without technical assistance. They have annual conferences that cater to the user and the administrator. They teach you how to be self sufficient with your software. If you do need to contact user support, you get a real person that can tap into your computer via internet and walk you through exactly what you need to do. Some modules are limited as to what you can add or delete to customize them. For example, when creating the 'truck check' section, I could only add so many items that needed to be checked. On inspections, it was difficult to get a report to print out for the customer that was easy to comprehend. Firehouse has come a long way in the years I have used it. They are now offering cloud based so it can be used from anywhere. It is versatile and easy to use. Inspection reports, incident reports, asset inventory. I like that you can set up reminders for annual inspections and they create a notice for the user and materials to send to the recipient of the inspection. 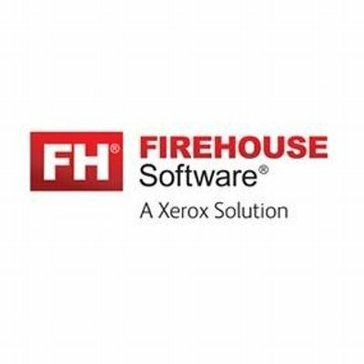 "Firehouse Software - Great for all sized departments"
I like the seemingly endless options and add ons a user can add, based on their department or administrative needs. After setup, user and administrators have a plethora of data readily available that can help better serve administrative and community needs. The user support is top notch and works perfectly on a Windows platform. The back end work and inputting the street information is painful and incredibly time consuming. I wish there was a way to auto populate. The downloaded updates are optional and can sometimes throw off certain functions or access on certain computers if/when they are downloaded. Have a tech savvy staff member in place BEFORE moving forward. Otherwise it could take months to launch successfully. The AM should offer a more solid implantation schedule to potential users before going live. Consider budgetary needs and make sure all stakeholders understand the technical needs during the actual migration to the software. Training the responding staff and dispatchers may take more time than expected, especially in a city with high call volume. Computer aided dispatch. A platform that can keep up with the rapid tech challenges and needs of a public agency. Aggregate data collection and analysis. "Firehouse RMS, outdated and antiquated "
Firehouse is somewhat easy to use interface for the end user. There is some customization ability and can access the back end SQL databases to build third-party functions. It is very antiquated and build on a foxpro back end. The report writing is very limited and clunky. Customization is very limited and the scheduling module is extremely confusion and cumbersome for daily operations. The functionalities are limited for most modern organizations. Having a central place for data collection and analysis. We are able to pull some basic datapoints for operational evaluation. The software has a good appearance. It is easy on the eyes. The software is not user friendly. A software that is designed to be utilized by firemen needs to be firefighter proof. This is not firefighter proof. Have actual users fill out mock reports in a live conference so that software engineers who don't create reports for Fire or EMS can see where the faults are. It allows for reporting to be completed to stay compliant, however the reporting system is not time efficient. "Firehouse Software...a bit of a challenge"
I like that it allows for lots of storage with regard to tests, hydrant flows, inventory and runs. It is not user friendly when trying to run reports. They are quite to hard to find and cannot really be changed. We use this software to enter our daily runs, keep track of changes to inventory, log daily activities and other fire department related items. I liked the best that we can access and inspect anytime anywhere. I don't like when I am unable to access some data because I don't have access to that. It's a great resource to use. I take care of inspecting the work people have been doing and take care of the incidents. I have access to the things quickly and easily. I liked the Firehouse Software interface. It was user friendly and easy to navigate. The price was slightly higher than I anticipated. Continue to advertise and do marketing to spread the word. This software allows a fire department to save time, therefore saving money. This allows stores all the documents in a safe and retrievable manner. I like the fact that with Fire house software I am able to put all my data into one place. Pre-plans, hydrants, reports, and pub ed events. Plus our training records and certifications. Not very tablet or mobile friendly. It seems the mobile app software and the PC don’t like to play well together. The simplistic placement of all our data in one location. It does have lots of functions that are good for processing daily work. It is not a very user friendly service. The reports are difficult to run and when you have something out of the normal report it is very hard to get ahold of someone. "It is good software but just not the direction we were heading"
It really was limited for Emergency Medical Service folks. It is a great software for fire. None now, we tried it out for awhile but it just didn't jive with the system we have in place for my volunteer service. Recommended it to the fire system. "I am a Fire Marshal with 25 years of experience in the fire service"
The organization of the program and the ease of finding what your looking for when searching in a an occupancy. The intergration of the FHInspector and the system. The construction of specialized reports can be challenging and the customer service is sometimes an issue. Business is not what I would say but keeping track of my occupancies is very helpful. It’s nice to have everything together in one location, call stats, training, personnel records. I haven’t had any issues with this software. The biggest benefit is the ease of creating reports and retrieving data. * We monitor all FIREHOUSE Software reviews to prevent fraudulent reviews and keep review quality high. We do not post reviews by company employees or direct competitors. Validated reviews require the user to submit a screenshot of the product containing their user ID, in order to verify a user is an actual user of the product. Hi there! Are you looking to implement a solution like FIREHOUSE?